The original ramen burger has arrived in Japan, by way of New York and the world. Taking residence on the second floor of Saikoro was a bold move. It is tough to pass up the solid bowl on the first floor! A quick history of the Ramen Burger is in order. 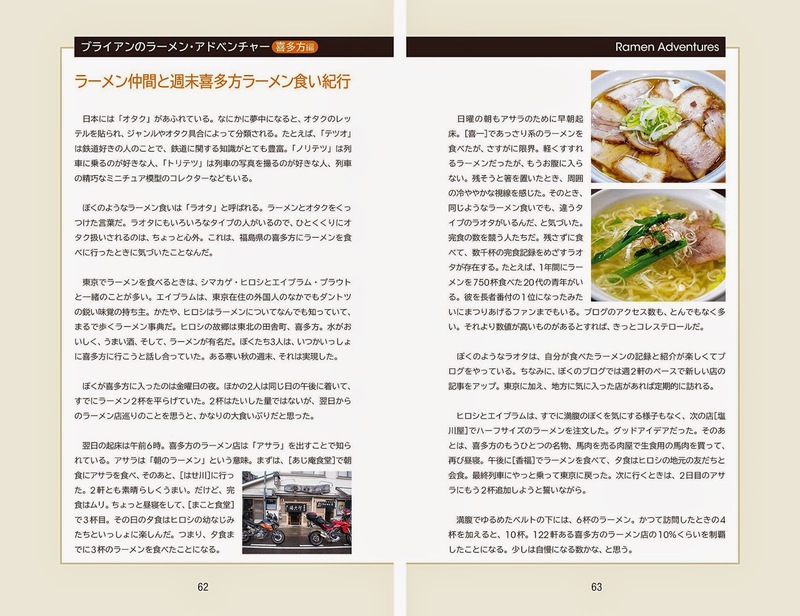 If you've been a long-time reader of Ramen Adventures, you know that Keizo Shimamoto quit his job in Los Angeles, moved to Japan, and worked in a number of Japanese ramen shops. Eventually, he had an opportunity to go to New York to help open a branch of one of those shops; Basanova. Well, things didn't work out, and instead of heading back to Japan, Keizo hooked up with some of his many connections to get a booth at Smorgasburg. Smorgasburg is some sort of weekend food festival in Brooklyn. What could he serve (ramen is notoriously tough to make at outdoor festivals)? Did anyone see this Vice video? As there was already a bit of buzz about a ramen burger (hipsters love Vice! ), the initial push was strong. Add that to the fact that the media was growing tired of the cronut (croissant / doughnut) and looking for a new food trend to report on. This perfect storm of hype and media drew huge crowds, the positive reviews from people who braved the lines began pouring in, and it just went from there. The Ramen Burger has popped up here and there in the States, at festivals and events, but it was never seen in Japan (apart from that initial time he made it for Vice). That was back in 2013. About two years later, it finally hits Japan. The salad was great! Thinking back, I can't recall a time in my nine years in Japan that I've seen a chopped salad. A nice appetizer before the main course. Some sort of high-tech wrapper (the staff will explain) means that you can take these to go. And there it is. The Ramen Burger. I feel like everyone already knows this, but the bun is made from ramen noodles. Some arugula and secret shoyu sauce go on a 100% American Angus beef patty. The works come with cheese, bacon, and egg. My opinion on the Ramen Burger? It lives up to the hype. It's fun and innovative and full of flavor. The burger scene in Tokyo isn't near what it is in many American cities, but don't get it wrong, there is a scene. Martini Burger, 3rd Burger, and Burger Mania all make Ramen Adventure approved burgers. There's even a $150 Kobe burger at the Ritz-Carlton. And now the Ramen Burger. Check it out! Let me know what you think in the comments or over at the Ramen Adventure Facebook page. The Ramen Burger is a crazy phenomenon, and thus the opinions are all over the place. Is it ramen? Is it a burger? Let me know! The night before, I was treated to a substandard bowl of Wakayama ramen. Immediately after, I did some research, postponed my morning ferry ride, and set out to Arida, a city just 30km south of Wakayama proper. Can Seino redeem the entire genre of Wakayama ramen? Highly ranked is always a good sign. Only open for lunch is also a good sign. People started arriving about an hour before they opened. Another good sign. There are a lot of choices. You have shoyu, chicken shio, thick Wakayama, and Arida black. They all looked great, and their claim to fame is the shoyu. But I wanted to try the Wakayama. Dreaming of rich brown soup was how I spent the night before. A note on shoyu; Wakayama is quite famous for their soy sauce history. Many claim that nearby Yuasa (only a few kilometers from this shop) is the birthplace of the stuff, and you can still find craft brewers making small batches of high quality shoyu. A few of the best shops in Tokyo use Wakayama shoyu, a testament to its quality. But this isn't Tokyo, this is Wakayam. How does this one look? Yes! This is what ramen adventuring is all about. A ridiculously rich bowl, with just enough bite on the homemade noodles. The soy sauce really comes through with a huge initial impact, followed by a smooth, porky aftertaste. Tender chashu, an egg that burst with flavor, and seasoned menma complete the dish. A side of shirasu gohan is recommended. The line wasn't unbearable, but make sure you get there well before they close to avoid disappointment. I'll just let Google figure it out for you! 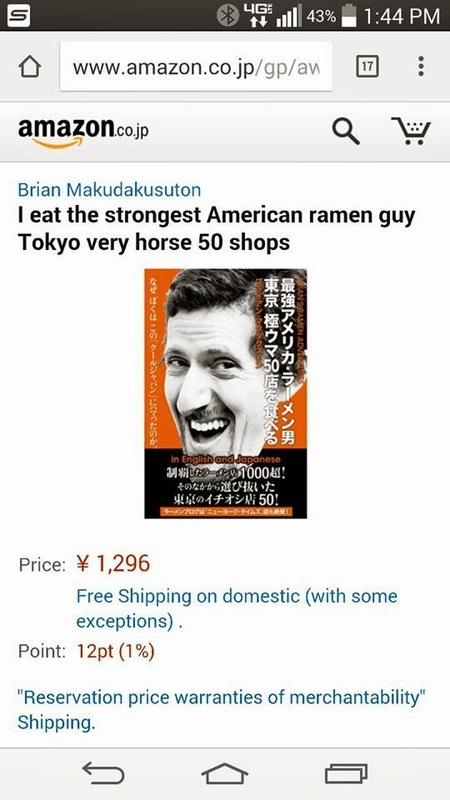 Yep, I wrote a book about ramen. The full name is 最強アメリカ・ラーメン男 東京 極ウマ50店を食べる. Saikyo Amerika Ramen Otoko Tokyo Goku Uma 50 Mise wo Taberu. Let's break it down. 最強 - Saikyo pretty much means amazing. アメリカ・ラーメン男 - American ramen dude. 極ウマ - Goku Uma. Super tasty. Uma (馬) can mean horse, but the uma here means delicious. More or less a guide to 50 great ramen shops in Tokyo. I was able to convince them to include some English as part of the book. Though aimed at the Japanese audience, I hope a lot of English speakers will use it when they visit Tokyo. 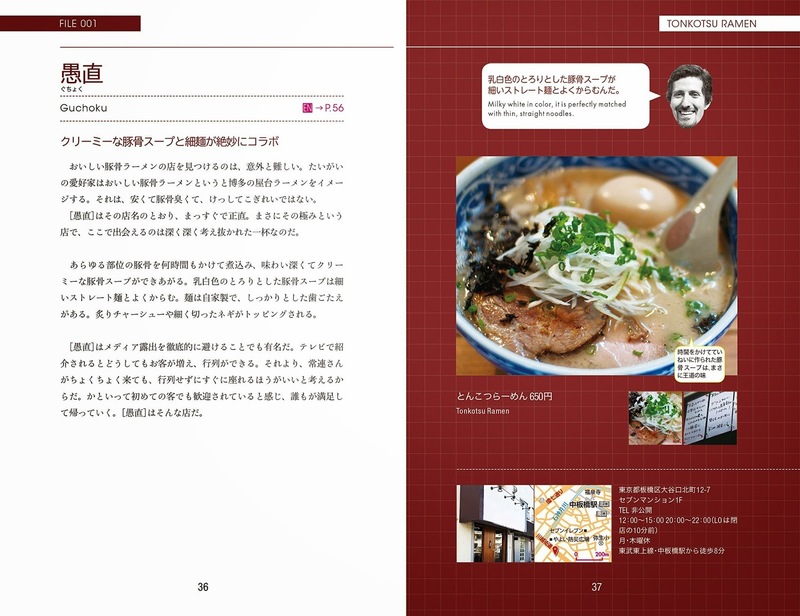 The Japanese ramen review pages have more details. I even included a few essay stories, like this one about my trip up to Kitakata to crush bowls with some friends. These aren't translated into English, sorry. So there you have it. 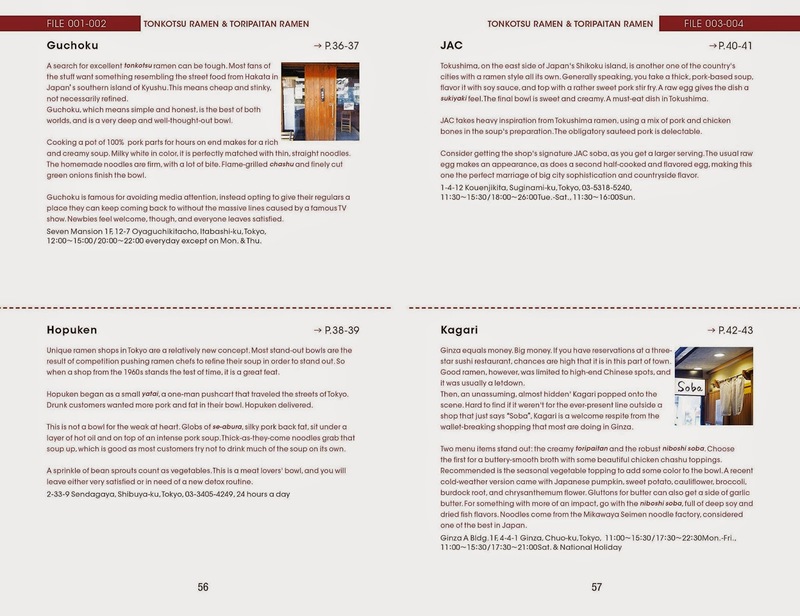 If you wanted a guide to 50 great shops in Tokyo, now you have it. You can click here to get it from Amazon Japan. I'm not sure where I heard about Nagareboshi, but it was on my list of non-Tokyo shops to check out. When the motorcycle navigation system tells you there is ramen nearby, you go! Luckily, I was with a few other ramen riders. This was the start of Golden Week, a national holiday week in the beginning of May. Hamamatsu is a city about 200km from Tokyo on the east side of Aichi Prefecture. Any foodie can tell you, this town is famous for unagi. And yes, eel makes its way into this bowl of ramen. So does local shirasu whitebait fish, local nori seaweed, and local mikan orange. We were mixed on this bowl. Personally, I loved it. Eel bones are often fried and then eaten as a snack, and that fried eel bone flavor really came through in this soup. Slightly smoky, slightly buttery. If you aren't into fishy flavors, stay away from this one. All around a solid bowl, and they are open late if you are in Hamamatsu for business.